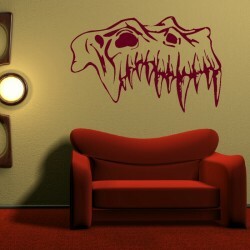 Whether you are a fan of fashion, gothic drama or Jurassic creatures, skull wall stickers can give character and ambience to any space, with minimal fuss. 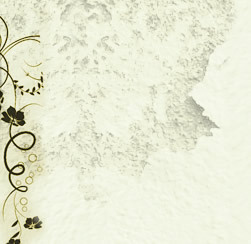 Putting up wall stickers is far easier than painting or papering, no equipment or glues are required and there’s no mess. Simply choose the ideal spot for your installation and ensure the surface is clean and dust-free. Next, peel of the protective backing layer and apply firmly. 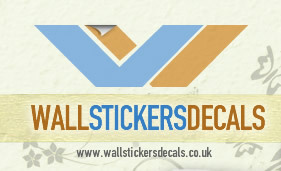 Children will love how quickly their room can be personalised with wall stickers. In the space of a few hours, any area can be transformed to reflect their interests and impress visiting friends. Fossil fans will appreciate the carefully crafted detail in our T-Rex Dinosaur skull sticker, a realistic interpretation of the most recognisable of prehistoric beasts. This decal is a great way to add a more grown-up feel to a dinosaur loving child’s bedroom, if they have outgrown the existing scheme. Skull imagery has been a popular concept in interior design for many years, although it still has a somewhat eccentric reputation. 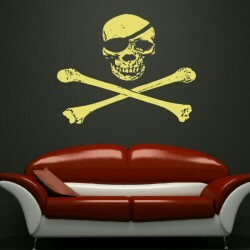 The skull is most often identified with the Jolly Roger pirate flag, and our Skull and Cross Bones Design wall decal provides an authentic depiction of this iconic emblem. 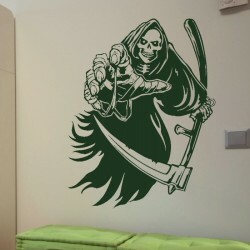 Alternatively, our Skull and Cross Swords wall sticker also celebrates this association with style, but caters for younger pirates. Don’t forget to try out brighter colours and different sizes to create a more quirky feel to the room. However, it is not just the tyrants of the high seas who enjoy the skulls unconventional aesthetic. Since the 1920’s traditional Mexican art has made its way into the mainstream, by way of the United States, from here the skull theme was picked up by pop artists and designers who saw its wider potential. The work of both artist Damian Hurst and the late fashion couturier Alexander McQueen, features reoccurring skull motifs, and has firmly established the popularity of this image in modern design. Now skulls are a mainstay on scarves, rings and clothing. 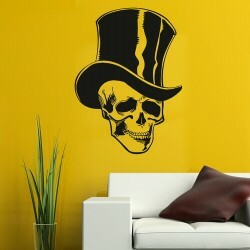 Using skull wall stickers means you can complete or enhance a contemporary look for your home, simply select the design from our collection that most appeals to your taste and sense of style.